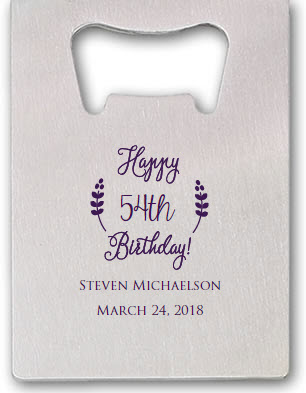 Give this custom card bottle opener as your birthday favor and your guests will appreciate it each time they go for any bottled beverage. 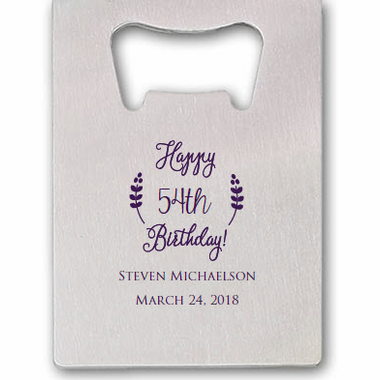 Made of stainless steel, each opener measures 3 3/8" x 2 1/8" which is the size of a credit card. That means it is convenient to store and transport. Add a custom design in an ink color of your choice, and your favor is complete. They are bulk packed in bags.